According to a report by SA newspaper Sowetanlive, 18 year old Boitumelo Dlamini was taken by four girls into a car, driven to a bush where they poured petrol on her and burnt her to death. One of the girls is the ex-girlfriend of the boy she's dating. Her charred body was found in the bush in Klipgat, North West, on Thursday June 25th. Boitumelo's boyfriend's ex-girlfriend and three of her friends have been arrested for the crime and are facing murder charges and kidnapping. 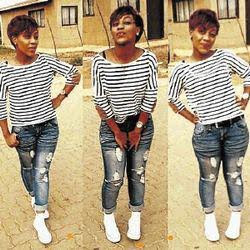 Boitumelo , 18, a Grade 12 pupil at Elepsa Secondary School, became romantically involved with Tokelo Makalepho, 24, from her village, six months ago. Boitumelo's sister, Nono Dlamini, 26, alleged Makalepho's former girlfriend was jealous and could not stand that Makalepho was dating Boitumelo. "She constantly intimidated my sister and threatened her," said Nono, speaking on behalf of her family. My sister died because she was beautiful and doing matric." Nono said Boitumelo's friends said that on Thursday they saw her get into a car after school. They did not recognise the vehicle. Tumi, as she was affectionately called by her family, had dreams of being a crime investigator. She was a dedicated pupil whose subjects included history, life orientation, life sciences, English and Afrikaans. "She was a loving person, she did not want people to get hurt," her sister said. "She always smiled and was very kind." According to Makalepho, his ex told him she will only accept their break-up if he promised to date ugly women who already have children. She also allegedly told him the new woman must not have a matric certificate. "She was angry that I dumped her with a baby," Makalepho said yesterday. "I never thought she can do this, I'm traumatised." Makalepho and his ex have a 19-month-old daughter. "I don't feel that my daughter is safe with her anymore. I dumped her because she cheated on me, she cannot blame me for her failures," he said. North West police spokesman Captain Paul Ramaloko said four people were arrested. They will appear in the Brits Magistrate's Court today.